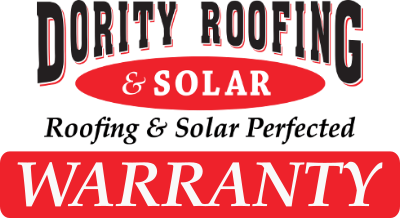 The Dority Roofing & Solar standard workmanship warranty is 10 years. Extended warranties are available on select products. Because of our certifications, we offer the highest warranties in the industry. Call for full warranty details. Here is a selection of extended warranties available through our manufacturers. This upgraded CertainTeed Sure Start PLUS 5-Star Warranty is included in the total package price through Dority Roofing and Solar. SunPower covers 100% of repair or replacement costs: labor, shipping, parts, for 25 years. Plus they guarantee that your panels won’t lose more than 8% of their original power output in 25 years. If you are selling your home, in most cases, you may transfer your warranty to the new owner. Instructions on how to make that transfer are listed below. If you have any issues with the transfer, the first line of contact is with the manufacturer’s customer support, but Dority Roofing and Solar is happy to assist in that process if necessary. Please let us know if a warranty has been transferred, so that we can have the new owner’s information on file.